Guess who is coming to town? Disney On Ice! 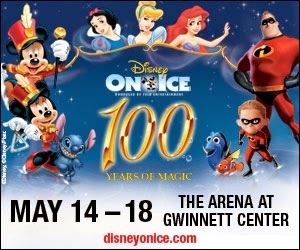 On May 14th-18th Disney On Ice will be celebrating 100 Years of Magic at The Arena at Gwinnett Center. Join the celebration as more than 60 of Disney’s unforgettable characters from 18 beloved stories come to life! You’ll be captivated by the one and only Mickey Mouse, the irresistible Minnie Mouse, Goofy, Donald Duck, Jiminy Cricket, Pinocchio and many Disney Princesses. 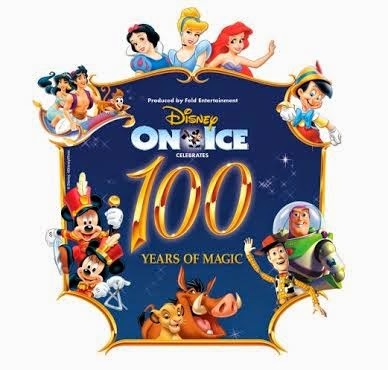 Be thrilled by exciting moments from The Lion King; Mulan; and Disney/Pixar’s Finding Nemo, The Incredibles, and Toy Story films; in a skating spectacular filled with magical Disney moments you’ll remember forever as Disney On Ice celebrates 100 Years of Magic! 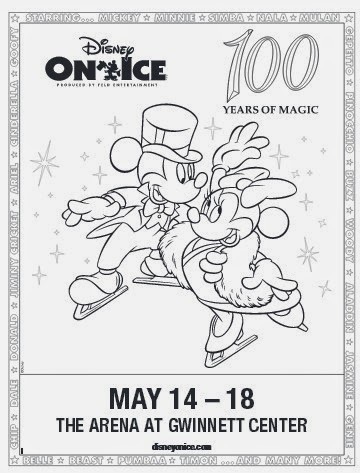 The last time we saw Disney on Ice was about 2 years ago. Both children were pretty young so they don't really remember the show. I haven't told them yet we are going in a couple weeks, so shhhh don't let the cat out of the bag! They are going to both be very excited, especially since their favorite characters are are in the show! I cannot wait to tell you all about the show so check back May 15th or 16th to find out! Be sure to download these fun printables for the car ride! Just click on the photo to download. 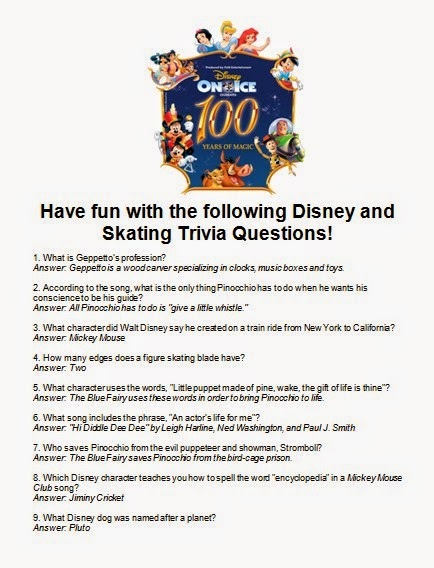 Disney On Ice has graciously offered to giveaway 4 tickets one lucky reader. Tickets are opening night show ONLY which is on Wednesday, May 14th at 7:30pm. Only the first entry is mandatory. Other entries are optional and give you extra chances. This giveaway is not affiliated with Facebook in any way. The winner will be posted on the blog and will be emailed. The winners tickets will be held at the "Will Call Desk" under the name provided in the mandatory entry on the giveaway form. Very cool! We saw the Princess show (maybe 2 years ago also). My daughter was thrilled!